Even if you are just a bitter “dead-beat” homeowner, you have to concede those American bankers are enterprising. If they can take down an entire country like Greece using something complex such as currency swaps, do you think they can’t take down your local county recorder (John O’Brian excepted) with something as simple as a private database? It may be relevant that these 9 M folks (who defaulted between 2007 and June 22nd, 2012) probably did not fully understand that they had been paying their monthly mortgage payments (before they defaulted) to a party that had absolutely no interest in the debt they committed to repaying. In other words, their cash was depleted through payments to a stranger to the loan transaction. This mysterious party (usually called a “sub-servicer”) that they had been paying had no legal interest in their property and parenthetically no legal right to foreclosure either. Finally it is far from clear that this group understood that they had purchased their largest asset at a radically inflated value as a result of a securitization process that rehypothecated the debt time and again – most had no hope of knowing the financial alchemy that can cause home prices to rise by double digits for so many years. Maybe there was something to Moody’s recent downgrade of (JPM), (BAC), (C), (GS) and (MS) after all. Of course it may be impossible to calculate what the exact losses to the nations five larges banks would be if the number of foreclosures in the next five years only mirrored that of the last, but needless to say it has the prospect of reaching beyond mere Billions since it is estimated that approximately 8.5 trillion in securitized mortgages remain outstanding. The potential expense would stem not only from fraudulent foreclosures, but the fact that it may become altogether impossible to foreclosure on American families using existing “naked” mortgage liens and it seems the value of homes with clouded titles is not very high given Uncle Sam’s planned “Real Estate Fire Sale“. 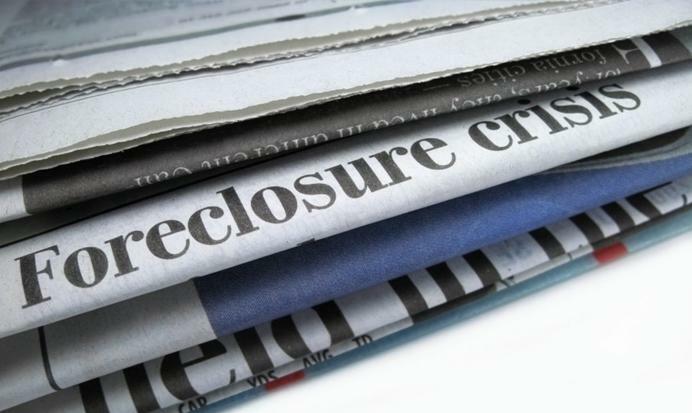 But all is not lost – whatever the banks might lose on foreclosures, if anything, they hope to make up for in other ways. “Who are some of the other high-rollers lining up for the restricted Fannie/Freddie/HUD fire sale? According to the Wall Street Journal, they include Lewis Ranieri, regarded as “the godfather” of mortgage finance for developing mortgage-backed securities (MBS) and collateralized mortgage obligations (CMOs), the financial weapons of mass destruction that played a key role in the economic meltdown. What the SJC reveals is that the “homes-for-rent” market is not new at all, it was established with modern mortgage securitization practices. 50 M Americans may eventually know that they have been part of this new market all along, and that they can not be legally foreclosed on with any conventional understanding of the law. Above all they may come to see that it is only through their choices that the spectre of American serfdom may yet be halted. This is a tip to those who have been waiting in limbo in Ma. The service members notice is usually a sign the foreclosure mill is going to come up with a sale date soon. If you do not want to wait to receive it in the mail from the foreclosure mill and want to know exactly the day it is filed- keep checking the Ma. Land Court website. The mills are running a couple of months behind so even though it was filed in Land Court YOU may not find out for a couple of months if you do not look there. I agree with Ken Hansen but what I find even more disturbing is the fact that the foreclosure mill bottom feeders masquerading as attorneys are able to takes someone’s home with forged and fabricated documents! In the land of laws how is that possible? Can you imagine even attempting to submit a piece of manufactured evidence to a judge? I can tell you right now you or I would find ourselve behind bars so fast we wouldn’t know what hit us. Yet day after day in this country TBTF guys are doing just that! Court ruled in favor of TBTF, even though this wasn’t explicity stated. This raises the eternal question: Could we have a serious problem with our Courts? Consider another irony of the housing crisis, the result of which is widespread public expectation of law in the United States are now forever negatively changed, from rocket dockets to Judges who are clearly interest conflicted. It doesn’t seem to matter to “the machine” how many people are being damaged, this is enormously troubling.